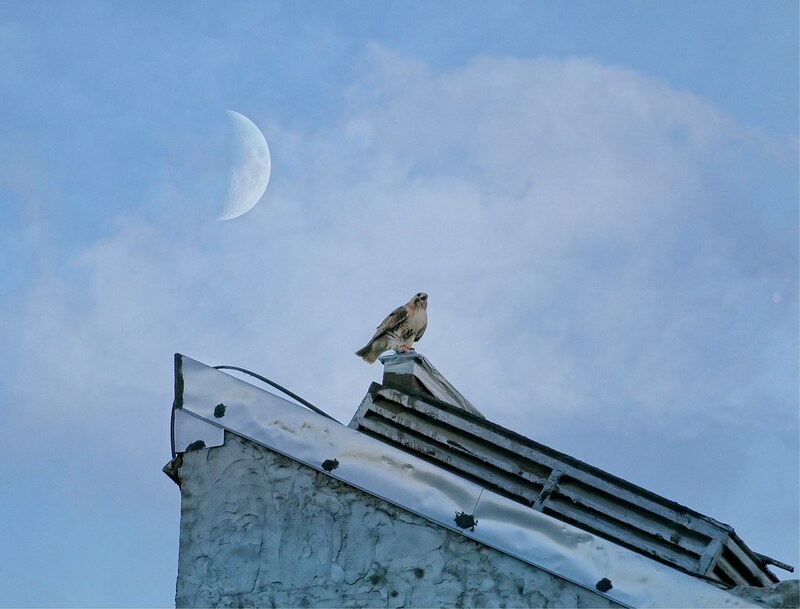 The Greenwich Village Society for Historic Preservation's blog Off the Grid has an interesting post this week on the Christodora House and Ageloff Towers, the two buildings, hawks Christo and Dora have chosen as nesting sites. The society is also hosting an event this coming week that features our East and West Village hawks. If you have ever seen the group of people in Washington Square Park with their binoculars, cameras and zoom lenses focused on the top floor of NYU’s Bobst Library, then you’re probably aware of the pair of red-tail hawks that built a nest on a window ledge, and have made Washington Square their home and hunting grounds. Similarly, a pair of red-tails has built a nest on the Christodora House adjacent to Tompkins Square Park. Both pairs have successfully raised offspring for the past several years. Christo calls Dora to dinner from atop the Sidewalk Cafe.